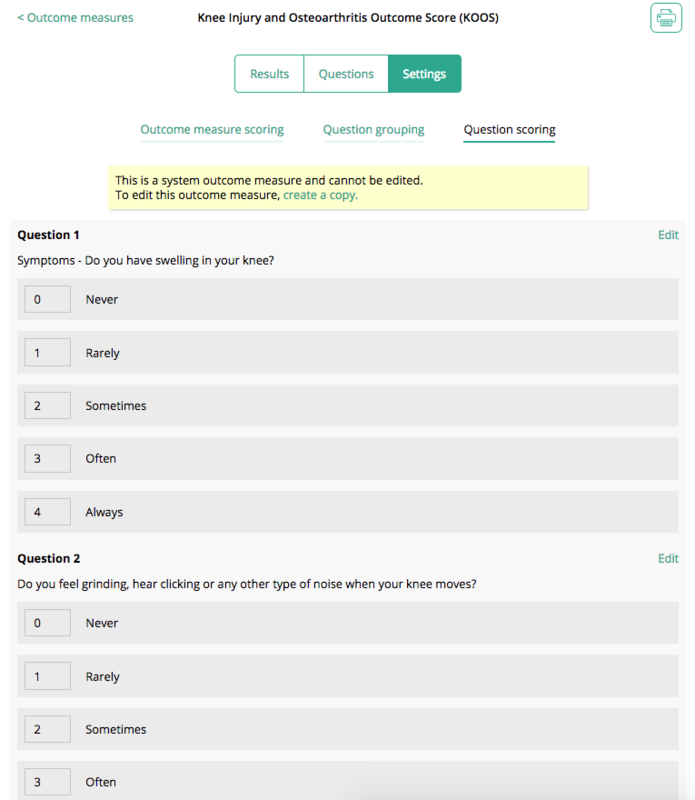 To view the content of an outcome measure follow the simply steps below. Search for the outcome measure you would like to view by using the search bar, or by scrolling down the page (PROM's are sorted alphabetically). 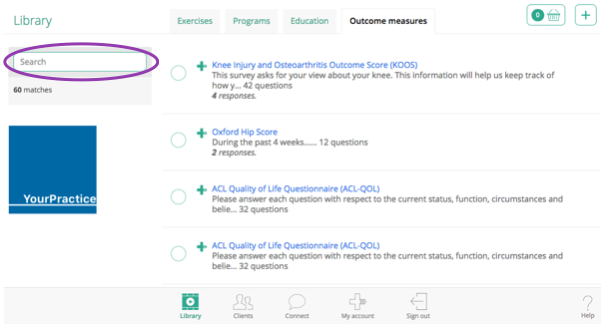 Click on your desired outcome measure to view the results from your cohort of Physitrack patient, the specific questions, and the settings associated with this questionnaire. 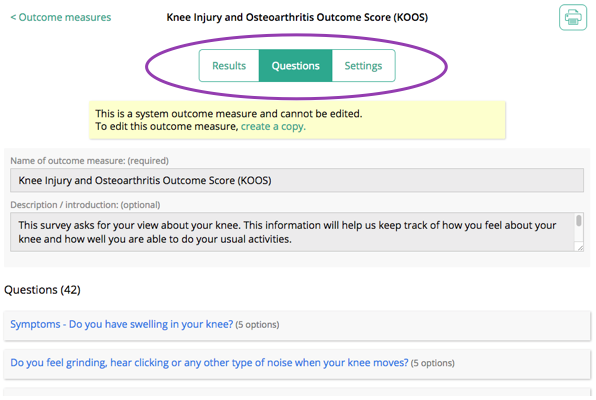 Allows you to pull the scores from your cohort of patient for this PROM across different filter options including gender, age and date of completion. Allows you to view the specific questions contained within this questionnaire (image in point 3, above). Clicking on a question opens the answer options for this specific question. 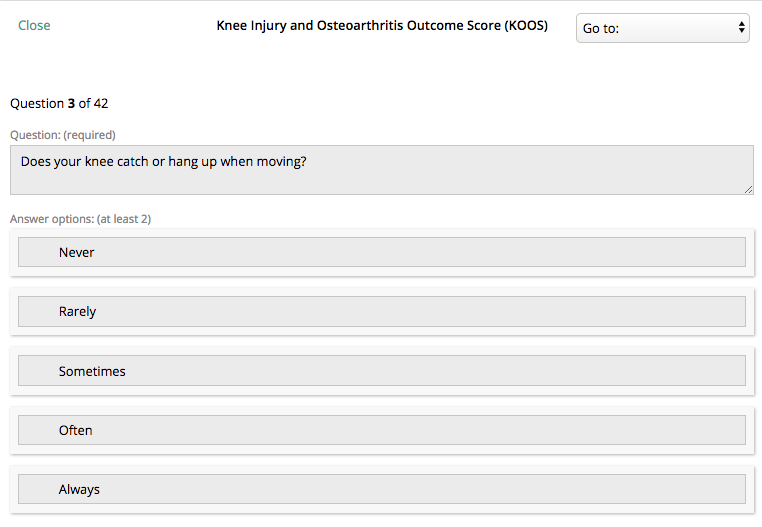 Allows you to view the scoring and question grouping for each answer in the questionnaire. Note: System Outcome measures cannot be edited. 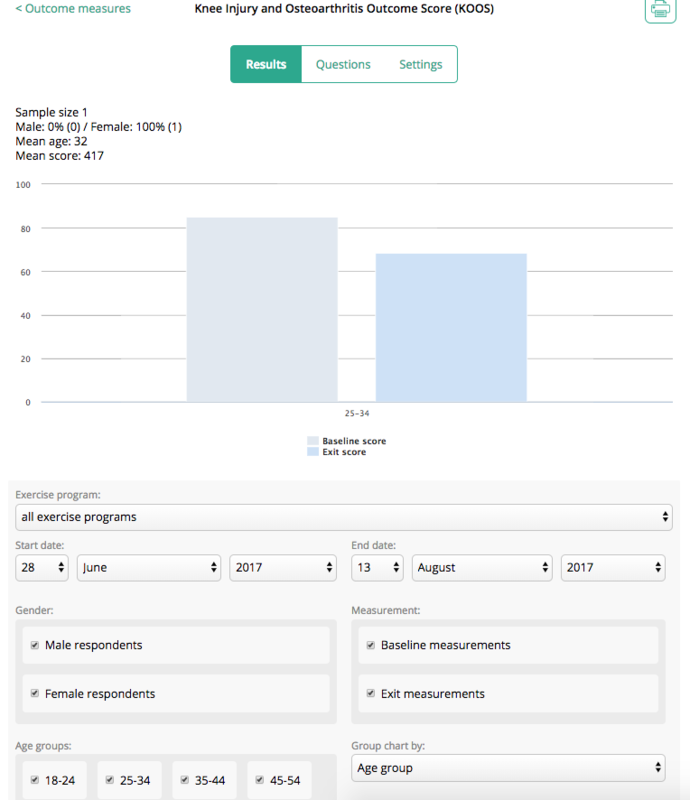 In order to edit a system PROM, you will need to copy the questionnaire to your Outcome measure library. Here you will then be able to edit the content. How do I create my own questionnaires?